Philip wrote: The second point,to maintain qualitaive superiority necessitates the acquisition asap of a 5th-gen fighter.Here,in whatever shape or form,the FGFA deal must be sealed. Why? The JSF's test reports are public, its (many) warts are being fixed. The FGFA does not have a single flying prototype, and the IAF was not even given access to the PAK-FA testing. Given the huge issues with even fixing the Su-30, it stands to reason we should avoid the FGFA boondoggle and only pick up a PAK-FA once the Russians use their own money (for once) to fix it, mature it and put it in service. And even that only if, the PAK-FA is substantially superior to the JSF in facing Russia supplied IADS in service with the PLAAF and other stealth fighters. The original article sources our good friend P Sprey!!!! But, for whatever reason, SA states it is a reprint, but does NOT source the Sprey vid. The article clearly said that it was from the Conversation at the outset.SC found it good enough to reprint it so what's the problem and with Sprey? What "huge issues" fixing the SU-30? MKIs are now over 70% indigenous, engines 100%from Desi raw material, 50 already delivered out of 350 built locally.Even the LCA has more firang content than an MKI! Poor negotiations by the MOD have plagued almost every foreign and Desi weapon system with the excruciating procurement procedure that currently exists in the MOD.This has had a serious effect with after sales support and timely acquisition of spares.Various statements have been made by the services over the years about this.It is only recently that foreign OEMs are setting up dedicated support facilities in India with enough spares, etc. to draw from when required.The IA has said that he poor availability of Arjun-1 is becos of its high import content and that firang spares are "drying up." We know how AKA sat on his a*se and allowed our Kilo subs to run out of batteries until a fatal tragedy took place , forcing Adm. Joshi to resign. It is only now in the last 3 years that the Modi regime is trying to break the back of the babu empire that is so well entrenched in the corridors of power esp. in the MOD.A close friend/prominent industrialist,huge fan of the PM, compared the hectic activity in ministries today and that during Snake-Oil Singh's time.He says that" Modi is India's last chance" to reform the establishment and catch up with a relentless China which has been press- ganged by XI Gins into a billion+ galley slaves slaving to make him the triad chief of the globe. Philip wrote: Pl list how many of the 270+ "critical" flaws have been rectified and in what expected timeframe.The problem is that no one knows when this will happen and the aircraft being with indecent haste rushed into production with development and rectification still going on, will have to be rectified at huge expense later on. The problem is that you have no idea what you're talking about, and have a tendency to pretend that the ignorance is universal. FYI, the 276 deficiencies in a specific software build (FR5) identified in Aug-Sep 2016 and around half of which were being addressed by the next software block (FR6) that entered testing in Dec 2016, and the rest in subsequent patches. All this was a year ago. And the software of already existing fighter, in case you didn't know it, can be upgraded in a matter of hours by ground staff anywhere in the world. Specific to the 2016 report, there were two subsequent software updates released to 3FR6 in February of 2017 and another in April of 2017 to begin fixing those. There will obviously be more for correcting deficiencies discovered earlier and those that would have been discovered through testing since then. This as I have been saying for years now, is how the process of testing works. When the last DOTE report was written the 3F software build was in early testing. Fast forward to today, more than a year has passed from the time-period captured by the last report. Overall, more than 98% of the test points have been completed for the program and what the current DOTE gets for his operational testing will be quite a mature variant of the 3F final software build that completes the SDD phase and not what Gilmore "observed" the program testing in 2016. As I wrote earlier, the program, almost exactly like the ATF program before it, has budgeted a "bridge period" that extends beyond SDD completion (currently expected for Q1 in 2018) and before the team shifts to exclusively working on block 4 FOM. The bridge period is for any software based correction that may need to be done during or right after IOTE. They are giving themselves 4-6 months for that which again may or may not be required. He doesn't understand that software development, and even testing takes time and maturity is often based on time as well with discoveries leading to fixes and subsequent variants and upgrades being more mature, and less buggy etc. That is why they port a new software version only on the developmental test jets and not to the rest of the fleet. Piece by piece each major sub-block of the software build is tested, debugged, tested again and then released to the fleet. They then move on to the other variants. There is no such thing as a perfect, bug/glitch free software variant straight out of the lab..if they or anyone else were capable of building something like that then there would be no need for testing. As has been told to him on numerous occasions now, initial versions of block 3F have now gone to the operational and non-test fleets. In fact, even he himself posted an article a few pages back (quoted below) that quoted the program executive officer of claiming this. This tells us that the initial versions of 3F are now mature and stable enough that the program has certified them for fleet release. Over the next few months they will do the same for the final version of 3F i.e. put it through testing, and then once it is stable and mature enough release it to the fleet. The current estimate is for a Q1 2018 time period for this to happen. The same final 3F build will go on the 20 odd aircraft the program is preparing to hand over to Bob Behler for his shop to begin IOT&E. He also doesn't seem to understand that there was a difference in the version of the software the operational fleet was flying with and the version that was in developmental testing. While Gilmore observed glitches in initial versions of 3F, the USAF was flying a stable, mature, and fully - tested block 3I while the Marines were flying the same software but on previous generation hardware (2B). So the lack of software build maturity and a high number of fixes were only required for the software build in testing..not the one that the operators were flying with. That 3F software is already going on aircraft coming off the Lockheed Martin assembly line in Fort Worth, Texas, Winter said. It’s not the absolute final version of 3F, he acknowledged, because additional testing must be done before the software is fully “verified and validated.” The program is already compiling a database of deficiencies it must correct, he said. Most of them are minor issues, such as indicators moving too much on displays or radar screen refresh rates being a few seconds too slow. On the contrary,let the US offer us some truly worthwhile systems without the puppet strings.It is so loath to give us even a naval N-reactor for a CV unlike Russia supplying us with both N-reactor tech and N-subs! If you compare the weapon systems offered to us by both sides, their quality, capability and cost, it is "nolo contendre". There is no hatred for US systems,I've advocated more C-130s, Chinooks,P-8Is, helo MCM eqpt.,not Apaches-too costly and C-17s are now out of production. "Horses for courses " has been my mantra.The MIG-35 offers a bomb truck + a terrific air combat aircraft with its TVC nozzles, "nothing flew better", described when it flew at Farnborough,at v.affordable comparative cost when compared with its rivals.At least $20M less.Acquiring another 60+ aircraft is a very cost-effective method of maintaining numbers and sqds. A few air shows ago, just before the decision was made for the MMRCA deal , I asked a Typhoon pilot about the MIG-35's air combat capability.He had flown almost everything including German MIG-29s.He said it was the best of the lot, but that the Typhoon had the best sensor fusion of all the contenders,etc.It was only the price factor that swung the deal Rafale's way.However, with approx. 300 MKIs with us and at least 50+ to be upgraded into BMos std., there is no need for an EF class of mid-sized lett) sized aircraft. Philip wrote: On the contrary,let the US offer us some truly worthwhile systems without the puppet strings.It is so loath to give us even a naval N-reactor for a CV unlike Russia supplying us with both N-reactor tech and N-subs! Commissar, the last time you made that claim, it was rebutted by the ATV designers themselves. Yet the lies continue. Philip wrote: On the contrary,let the US offer us some truly worthwhile systems without the puppet strings.It is so loath to give us even a naval N-reactor for a CV unlike Russia supplying us with both N-reactor tech and N-subs! If you compare the weapon systems offered to us by both sides, their quality, capability and cost, it is "nolo contendre". If we buy 70% of all our arms from USA for 70 years, I am sure they'll be willing to give us a lot more than a pesky N sub on lease. All of US ally, be it Israel, JaPAN, Korea, Singapore and Turkey are much better off than us when it comes to industrialization. Stop pretending that Russia or USSR done/doing us any favors. That was part of the their cold war, we had to tow their socialist/communist line, which ruined our economy and relationships with the western world which has a lot more in common with us than the frozen wastelands of eastern Europe. The F-22s were joined by B-52 Stratofortresses and Afghan A-29 Super Tucanos to conduct an expanded strike mission — called the new offensive campaign — against the Taliban’s revenue stream, said Army Gen. John Nicholson, commander of the NATO-led Resolute Support mission and U.S. Forces Afghanistan. The Raptor “was used because of its ability to deliver precision munitions — in this case, a 250-pound bomb, small-diameter, that causes the minimal amount of collateral damage,” he said during a teleconference briefing in Kabul. “This target was also a Taliban narcotics production facility in Musa Qala. So I want to draw your attention — as you look at this strike, you’re going to see that inside this compound are multiple structures, and we destroy only two of them, while leaving the third standing, which we do to avoid collateral damage,” Nicholson said. The mission was aided by “refueling support from KC-10s and KC-135s, ISR platforms and command and control aircraft,” said Lt. Col Damien Pickart, Air Forces Central Command spokesman. “Along with Air Force assets, our joint partners contributed to the fight with strike support from U.S. Marine Corps High-Mobility Rocket Systems (HIMARS), and ISR capabilities from U.S. Army assets,” Pickart said in a statement. “We’re looking for a mixture of ordnance in the air over the targets so that, as we make the final decision on the use of which weapon, based on concerns about collateral damage, we needed to have a variety of airframes available with different kinds of munitions,” he said. “And so that was the purpose [of the F-22]. It wasn’t because of some of the other capabilities of that aircraft,” he added. “We carry the low collateral damage weapon, the Small Diameter Bomb GBU-39, to precisely strike enemy combatants while protecting the civilian population,” said Lt. Col. “Shell,” an F-22 pilot and commander of the 27th Squadron on rotation at Al Dhafra. He spoke to Military.com on the condition that he be identified by his call sign. “We also can carry the 1,000-pound JDAM GBU-32 used for targets where there is less-to-little collateral damage concern,” meaning a larger blast for attack. Regarding Sunday’s bombing run, Nicholson said airstrikes have been and will continue to be on the rise. For example, the Air Force dropped more than 900 weapons in August and September combined, up from 270 for the same timeframe last year, according to AFCENT’s latest airpower summary. “We’ve used airpower — dropped more munitions this year than any year since 2012,” Nicholson said. Stop peddling the "facts" that we had to tow the Commie line during the CW.Mrs. G. then the best pal that the Sovs. had,never allowed them to establish a mil. base on Indian soil and after her return to power after the defeat in '77 ,looked to improve ties with the US,esp. in the eco. arena.RG went even further and maintained a healthy balance between east and west.The fact is that the US on the other hand supported Pak all these years,turned a blind eye to its nuclear ambitions and proliferation and are still in cahoots with it in sensitive areas. trump is trying to break the mould,but it remains to be seen how far the US will "punish" Pak fro its terrorist agenda and chicanery. Post independence,India did not want to lose the gains of the freedom struggle by becoming the dumping ground for western MNCs. Nehru's emphasis in building up our core heavy industry was wise and laid the foundations for both heavy industry,nuclear power,etc. which we've built upon.One must remember that the West was most unwilling to give us anything during the CW becos we preferred to remain non-aligned. That is why even today we won the ICJ seat with the support of over 150 nations in the GA and saw off our colonial master Britain! had we succumbed to the West as you would've liked,we would've NEVER become a nuclear weapons' power,as we would've been forces to sign the various nuclear non-proliferation treaties like Japan,Oz,SoKo,etc.who now shiver and shake becos of China and NoKo! Thank Nehru and Mrs. G for that (and of course our dedicated scientists! ).They had their flaws but on this score were spot on. Just make a list fo what we've recd. from Russia and the West. Who has supplied us with game-changing milware. The US even today is denying us "full TOT"" for aircraft tech,no N-plant for a carrier,etc. And we're supposed to be their "strat. partner"! Just old hags of fighter aircraft ,no N-sub,no ABM system to deal with pk and China,nothing contemporary,barring some transports and the P-8I That too meant for us to be the USN's "benami" against China in the maritime sphere.it's just a relationship of Bullsh*t! The Brits are running scared after the great show that Russia has put up in Syria,exterminating ISIS and US-led rebels in record time too with its array of mil power ,some of it even legacy Sov. era weapon systems like Bear bombers,SU-25s,etc. Its new weapons like Kalibir missiles,SU-35s,SU-34s ,MIG-29Ks were also in action and are attracting the attention of many nations eager to pick up these excellent systems at low cost.PLus being Uncle Sam's poodle,they have to toe the US' sanction line.Poor "Little Britain".It just lost out to former colony India in the ICJ stakes! How the (once) mighty have fallen! MOSCOW, November 22. /TASS/. Russian Deputy Prime Minister Dmitry Rogozin on Tuesday criticized organizers of the Farnborough air show for their refusal to accept Russian military hardware next year. "It is silly to deprive your visitors of a chance to see the world’s best combat aviation that had played the decisive role in the outcome of the Syrian war," Rogozin wrote on his Facebook page. Earlier on Tuesday, the aerospace show’s press-service notified TASS that Farnborough organizers had prohibited Russia from displaying military products at next year’s exhibition. "We take guidance from the British Government’s Export Control Organization (ECO) regarding the EU embargo on imports of armaments and military hardware to and from Russia. We welcome all exhibitors, Russian or otherwise, that fall within these ECO guidelines," the press-service said. In 2016, Russia’s participation in Farnborough was minimal. The space corporation Roscosmos did send a delegation but no exhibits. Russia’s arms exporter Rosoboronexport, too, declared its reluctance to participate. In 2014, more than half of Russian delegates were denied British visas due to the geopolitical situation in Ukraine. After Britain in 2015 kept a Roscosmos delegation away from a local defense exhibition the space corporation decided against bringing its exposition to Farnborough-2016. The biennial international aerospace show at Farnborough is one of the world’s largest. It is held at an airdrome near a city of the same name in Hampshire. Next year’s show is scheduled for July 16-22. MOSCOW, November 20. /TASS/. Saudi Arabia is in talks with Moscow on the supplies of Russia’s Sukhoi Superjet 100 and MC-21 aircraft, Director for International Cooperation and Regional Politics at the Rostec state corporation Viktor Kladov said in an interview with TASS. According to Kladov, the new MC-21 medium-haul passenger jet is a 100% Russian development and it has good prospects after entering the market. "The discussion is underway, Saudi Arabia has interest in our jets," he added. MC-21 is a medium-haul aircraft being developed by the United Aircraft Corporation. It will be manufactured in two configurations: MC-21-200 (seating 132 to 165 passengers) and MC-21-300 (capable of carrying 163 to 211 passengers). Currently, work is in progress only on MC-21-300. In late May 2017, it performed its maiden flight. The first planes are scheduled for delivery at the end of 2018. The Sukhoi Superjet 100 is the first modern Russian jet, unveiled in 2003. Its maiden flight was carried out in 2008 and in 2011 the aircraft undertook its first commercial passenger flight. At the moment, more than 120 SSJ-100 jets are in service, and the 169th aircraft is being manufactured, President of Sukhoi Civil Aircraft Alexander Rubtsov said. Singha wrote: details on the asmp are very very sketchy, including its flight profile and speed and why it was never developed into a anti-IADS weapon. perhaps the reality is a lot less soothing than the brochure. There was a plan to develop a non strategic variant of the weapon in the early 1990s (the ASMP‐C) but it was dropped for many reasons including political and a lack of a dedicated justifying need in the post cold war era. In fact, the basic design of the ASMP-A (design and propulsion) was originally envisioned as a dual use Nuclear and Anti-Ship weapon and this was why they originally decided to pursue a path that would require at the time nearly a $1 billion dollars to develop. As with a lot of things post-cold war, the Anti-Ship variant kind of fell through and the only weapons program that pursued as a continuation of the VESTA project was the nuclear ASMP-A we know today. Anyhow, a conventional ARM focused missile in this type/class does not need to adopt this design, complexity or cost so an anti IADS weapon would not look anything like it. Fast forward to today, there is little need to pursue the design strategy now given what European design teams have achieved with ducted ramjets and the research into scramjets. Anything cost-effective would have to be a multi-national european project which would mean leveraging MBDAs technologies from outside France. The french and other multi-national projects contributed to this and a liquid fueled ramjet motor is something that is a lot simpler than what they have going elsewhere. Given the strategic nature of the weapon, and the fact that it has been improved (keep in mind that the French have been using the A variant since 2008/9), there is little reason to doubt the performance claims because as you'll see when a more optimized Brahmos-M is developed, you do not need a weapon the size of the Brahmos to take out targets from 400-500 km away when launched from the air especially if it is carrying a nuclear payload. The basic air-launched Brahmos that we saw today had an optimized booster but kept everything else largely the the same. You will see that they'll get the M down to around a 1000-1200 kg by optimizing, making the propulsion and design better and reducing the warhead weight. It will still comfortably reach the the 400-500 km range when launched from altitude and would still be potent against a lot many targets. Little is known about its design and performance because it is a strategic weapon for the French and isn't available for export. There is good reason behind keeping most of its performance protected much like any other operator would do for its ALCM/GLCM-N, ICBM, or SLBM. Philip wrote: Interesting debate going on reg.ICBMs.US analysts - quite rightly want land based ICBMs abandoned.One alt. (Ru) is first increasing the reaction time for alerts.Right now there's only a 7 min. window to assess if it is incoming ICBMs or a false alarm.Removing land- based ICBMs would put pressure upon "rogue" states like NoKo, etc. from possessing them, but strat. bombers and SSBNs would remain.Huge savings in def . budgets too. regarding the ICBM, there was similar debate during CW as well. The argument that won the day was ICBMs (440, i think that was the recent number) also offer a target to the opponent, which otherwise would have been used for attack on the civil military centers. The argument regarding the Triad has been revisited multiple times and the sound principle behind all legs still remains largely true. I expect the review with Mattis to look no different than the one conducted by Ash Carter. The sea based leg is the most survivable, the air based leg the most flexible while the land based leg has the largest yield, and is the most cost effective way of maintaining a right-sized strategic detterent. The so called "Analysts" and the Arms-Control mafia in the US were expected to always come hard against one of the three legs before moving on to the other if and when they succeeded. So far, the Obama and the Trump administration have fully funded all three legs including the GBSD which replaces the ICBM. The contract for the same is to be awarded soon with the RFP released recently. The best CBO estimates currently on the cost have some flaws that will have to be rectified. One of them being that they count the entire B-21 bomber development, procurement and sustainment cost over a 3+ decade period as part of the cost of the strategic deterrent. This is flawed since it is largely a conventional bomber and previous estimates have put the RDT&E cost of making it nuclear capable at roughly 5-8% of its overall development. Regardless, take the size of the US economy, the out years these estimates look at and the overall percentage of strategic deterrent spending over 3+ decades as a %age and it is quite reasonable..and much less than what was spent during the CW. 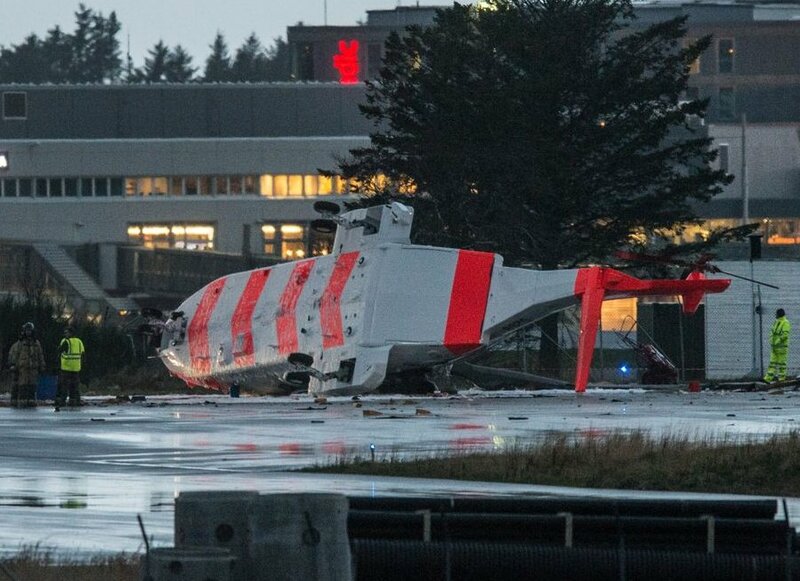 One week old and first Norwegian Leonardo-Finmeccanica AW101 0268 (330skv) flipped over today during testing. The US Air Force (USAF) has urged its UK-based pilots to keep cockpit windows clean to avoid mid-air collisions with civilian aircraft. RAF Lakenheath-based USAF F-15 jets were involved in 19 near-misses with UK aircraft in the past five years. An F-15 pilot from the Suffolk base was recently praised after spotting a glider by eyesight rather than radar and avoiding a collision. More than 1,000 near-misses have been reported to the UK Airprox Board in the past five years, of which about 360 have involved UK or US military aircraft. LOL. Old USN planes used to have tube for peeing while on the mission. Fun story about that in Ben Rich's book. It used to be made up of metal piece and putting in on on the mijjile was rather inconvenient when it would get cold up there. One can imagine. Ben Rich's first patent was on this - he designed a heating system for the tube. And the pilots were very grateful. Airbus, Rolls Royce and Siemens are teaming up to bring electric propulsions to passenger planes. Technology demonstrator to be complete by 2020. Airbus to bring integration and all up assembly. They have some experience if electric propulsion of small airplanes. Siemens to provide the electric motor and electric generator. Rolls Royce to provides a jet engine to drive the electric generator. The jet turbine will drive an electricity generator to drive the electric fan. The plan is to replace one engine in a BAC 146(?) with this electric motor driven fan in one year. Then replace with two engines. Lockheed Martin’s last F-16 produced at its Fort Worth, Texas facility rolled out the door on 14 November, marking the end of a 40-year era for the single-engined fighter. The last Texas-made F-16 will fly with the Iraqi air force, but over the last four decades the fourth-generation fighter has flown with 28 customers around the globe, from the US Air Force and NASA, to Israel, Venezuela and Poland. “The Fighting Falcon Nest,” as it affectionately referred to by Lockheed employees, is dwarfed by a F-35 production line that already stretches the length of several football fields. The fifth-generation fighter line will eventually cannibalise the smaller F-16 facility, as Lockheed makes room for the F-35 production ramp up. Lockheed will transition F-16 production to an existing facility in Greenville, South Carolina, where it’s also planning to assemble T-50 trainer jets pending the outcome of the US Air Force's T-X trainer recapitalisation contract. The Lockheed/Korea Aerospace Industries T-50A is a close cousin to the F-16, sharing the same basic shape, flight controls and wing. Initial activities supporting the move to South Carolina are already underway, a Lockheed spokesman says. With several potential international sales brewing, including a $2.78 billion deal for 19 F-16Vs for Bahrain, Lockheed expects to extend F-16 production beyond 2022. The latest Soyuz 2 failed to deliver the payload. Four Lockheed Martin (NYSE: LMT) PAC-3 Cost Reduction Initiative (CRI) and one PAC-3 Missile Segment Enhancement (MSE) interceptors successfully neutralized four tactical ballistic missile targets recently in a complex test at White Sands Missile Range, New Mexico. The PAC-3 MSE intercept fulfills a requirement that supports a full-rate production decision for the MSE missile. The U.S. Army-led missile defense flight test demonstrated the unique Hit-to-Kill capability of the PAC-3 family of missiles. The test also reconfirmed PAC-3 CRI and MSE's ability to detect, track and intercept incoming missiles while meeting fielded reliability requirements. A test-fire of the inter-continental ballistic rocket Hwasong-15 was successfully conducted on November 29 under the guidance of Kim Jong Un, chairman of the Workers' Party of Korea, chairman of the State Affairs Commission of the DPRK and supreme commander of the Korean People's Army. He was accompanied by Jang Chang Ha, Jon Il Ho, Jo Yong Won and Yu Jin. Copyright @ 2017 by The Rodong Sinmun. All rights reserved. Denmark F-35 Procurement Cost : 27 Aircraft, associated spares and support, simulators, and upgrades (introduces early block 4 technology refresh instead of the block 3F configuration). Total cost of the purchase DKK 16.3 Billion / $2.6 Billion or roughly $95 Million per unit. That's probably really really close to the $80-85 Million Fly-Away cost plus spares, support, sims etc. LONDON—The Danish defense ministry has begun the process of purchasing its F-35 Joint Strike Fighters. Government publications pertaining to the program published on Nov. 16 have revealed the defense ministry has requested DKK16.374 billion ($2.62 billion) to buy the 27 F-35As, engines, four simulators and a pool purchase of spares, support equipment, modification work and upgrades up to 2026. The Danish purchase will be phased with a contract and order planned for 2018 for 10 aircraft. Four are to be delivered in 2021 and six following in 2022. The purchase of the remaining 17 aircraft will be carried out through a “series of subsequent payments,” to be paid through until 2027. The Danish aircraft will be initially delivered to Luke AFB, Arizona, where they will be used to support initial pilot training, as with other F-35 operating nations. The aircraft will then be progressively transferred to the Danish air base at Skrydstrup, near the German border, to become Denmark’s main F-35 operating base from 2022. Copenhagen says its aircraft will be delivered in two configurations. The first 10 will be delivered in Technology Refresh 2 (TR-2), while the remaining 17 will arrive in Technology Refresh 3 (TR-3), which will bring several changes to the cockpit. Several companies, including Elbit and Harris, have already declared their involvement in these upgrade packages. The first 10 aircraft will be upgraded to TR-3 standard later. Work to prepare the Skrydstrup airbase for the F-35 is expected to cost around DKK650 million, although the documents say this does not cover work which might be needed in case of crisis and war, which would mean that additional investments might be needed. Permissions to begin construction are expected in 2019. Denmark’s 27 F-35s will replace a roughly 48-strong fleet of F-16 Fighting Falcons which have been upgraded to Mid-Life Update standard. The F-16s will be used for national defense tasks until 2023. In 2024 F-16 and F-35 operations will be briefly concurrent, until the national duties are taken on by the F-35 entirely from 2025. Copenhagen will not be able to perform any international missions with its fighters between 2022 and 2027 as the air force transitions between the two types, although the F-35 could perform “limited international operations” from 2025 if needed. 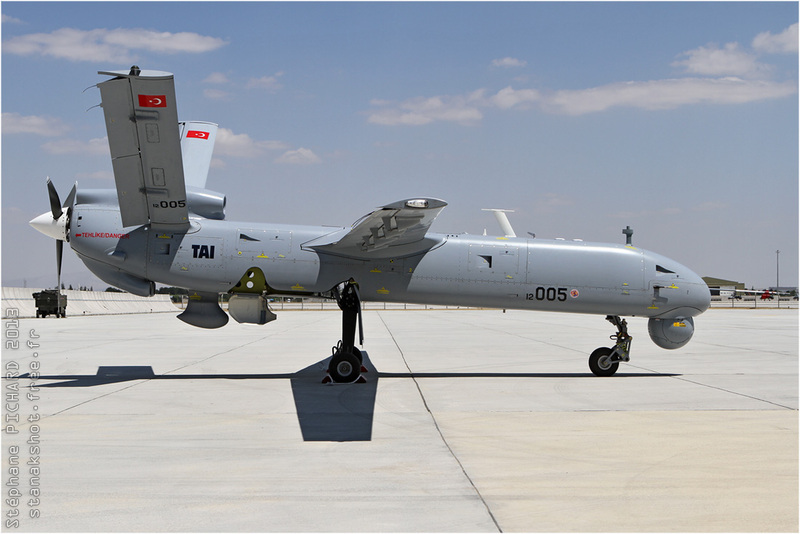 TSP has ordered 50 T129 attack helos from Turkey, beating out the underpowered Z-10 from their tallest and deepest PRC fliends. Turks are moving up in the food chain with their MIC. Turkey has caught my interest. They have risen quickly on the world market offering attack helos, trainers and drones. The Turks have access to Western technology as we do — maybe a little more since they are NATO (but balanced by the fact they are muslim.) They also seemed to have negotiated control of that tech to export. We don’t get our MIC in order some time soon, we’ll behind a lot of nations on the global marketplace not including the P5 — South Korea, Brazil and now Turkey it seems. ^^ Turkey is a very underrated player when it comes to defence exports. If embargos hit the middle east anywhere in the future, the GCC can buy most of what they need from turkey. They make some good small arms (almost always license produced or ripped off german designs) with good tolerances and finish. Their defence industry is almost as capable as a medium european power, say Italians, overall. They are producing a little bit of everything. Firtina artillery, anka uav, altay mbt, few trainer aircrafts, SOM missile for F-35, t-129 attack helicopters and near about every ground forces equipment. Their defence industry has a lot of parallels in the Indian industry, with a lot of critical components coming in from european suppliers. The next to get to a 5th Gen fighter will create a lot of prestige for a non-P5 MIC. Both Turkey and SoKo began their aerospace industry screwdriver giri-ing the F-Solah. A lesson there? Holy crap, 230 warplanes! We usually send a dozen Su-30s to Red Flag and the USAF about the same to Cope India. It is likely that the B-1s or even B-2s could participate in but won't likely operate from SoKo bases during these 5 days. Photoshop on the inlets ? The missiles were PAC-2's as can be seen by the video of the missile launches (quite easy to distinguish PAC-2 acceleration of that of the PAC-3 which also has an initial maneuver using thrusters). Saudi Arabia has not yet converted its Patriot batteries to support PAC-3 configuration which is likely to happen in the 2018-2019 time-frame. The missile did not evade per say but the missile impact was likely not direct and the warhead may have suffered less or no damage. Hence you see missile components littered outside of the impact point. This is similar to the classic Patriot-2 problem that occurred during the Gulf War where missiles were being hit but since the TBMs were being launched at the very limit of their envelope they were crumbling up and leading to interceptors damaging missile bodies/motors and other parts. This was the entire premise behind developing the ERINT that eventually lead to the PAC-3 and PAC-3 MSE which not only rely on the advanced lethality warhead but also Hit To Kill which creates way more energy and destruction than a warhead going off using a proximity sensor, while also allowing for a Ka band active RF seeker to do end game discrimnation. Similarly, even though the PAC-3 does not have the high-altitude envelope of the PAC-2 it still manages to intercept ballistic missiles at higher altitude than the PAC-2 given its acceleration and the ability use the thrusters to rapidly perform an out of plane manuever which saves time. Same reason why discrimination of the radar was improved under the signals processor upgrade as part of the Configuration 3+ enhancements. This was done so that if these missiles break apart warheads can be more accurately detected and tracked vs debris. The article also fails to cover the impact damage to see if the warhead that did impact actually was fully intact or was able to result in a damage that would be commensurate with a live warhead of the missile type in question. Saudi's despite of all the investments had neglected their Patriot modernization, choosing to focus on offensive capability first (Typhoon and F-15 purchase). Their Patriot modernization which includes radar component modernization, and PAC-3 didn't happen till a few years ago and will take a few more years to fully realize. Till then they'll be vulnerable to the known PAC-2 issues with TBM targets, something that the US-Army itself discovered during Gulf War. Although this has been mitigated to some extent via missile component upgrades (not sure Saudi's have those) but it remained a significant enough area of concern that the US Army chose not completely replace their upgraded Patriot batteries to use PAC-3s for TBM and keep only 1 launcher of PAC-2 for AAW since it is a larger missile that lofts higher and can therefore get more range against air-breathing targets. Most other Patriot user community has done the same, including the UAE that iirc operates an all PAC-3 configuration. Last edited by brar_w on 04 Dec 2017 21:25, edited 2 times in total.